Facebook wins a lot of popularity among marketing companies increasingly. It is an easy and economic marketing strategy that you also deserve to know. 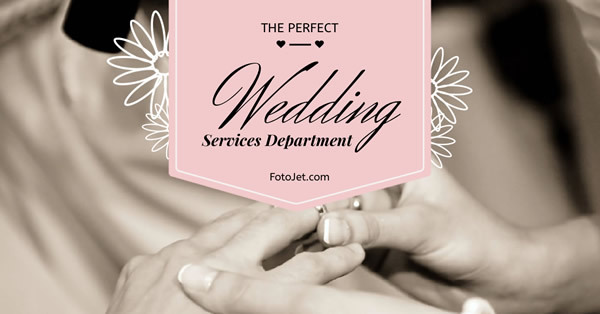 Now you can use our free Facebook ad maker FotoJet to create your own wedding company Facebook ad design. No design experience needed, you can generate many superb Facebook advertising designs with powerful editing tools. Also, you can choose your favorite Facebook ad template to make some adjustment. Surely the Facebook ad designed on your own will bring more and more customers.